Sets AG024-039 allow for the creation of a fully modular Phalanx, such as would have appeared under Alexander at the Battle of Guagamela. 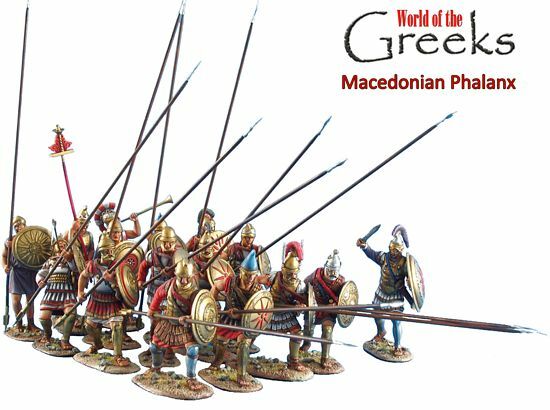 Designed with figures meant for the front, middle and rear ranks and armed with the 18+ foot long “Sarissa”, the Macedonian Phalanx is a must have for any serious “Ancient Greece” figure collection!! !